The graph below shows AN-LAN-EXT-ENH-D transmission distance and network data rate. The data differs from the cables types. When you use this device, please choose the suitable cables in line with your demands. The above data for TCP throughput, is the measured data in the actual environment. The maximum physical layer data is 200Mbps. For coaxial cable transmission, performance is more stable, but it also affected by the cable and terminal matching methods. The above tests are all finished in the field test. AN-LAN-EXT-ENH-D is a DIN-Rail Mounting Ethernet Extender, it allows 10/100 BaseT Ethernet to be transmitted using any 2-wire cable. This device contains the Master unit and Slave unit, which supports point to point and point to multi-point network transmission. The Maximum Transmission can reach up to 1,000m, the Maximum physical bandwidth can reach up to 200Mbps. Now this device has been widely used for Elevator IP camera and Network Multi-media Screen Display network data signal transmission. 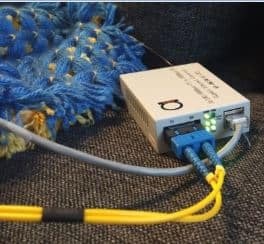 This Ethernet Extender has the strong anti-interference ability and can effectively restrain elevator frequency conversion motor interferences and other various interferences inside the elevator. Meanwhile, this transmission solution also can save about 30% cost than optical fiber. 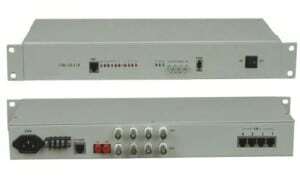 Now this device has been widely used for network extension system, network security, network information publishing system, network renovation and expansion systems, railway, urban traffic, mining and telecommunication, etc.